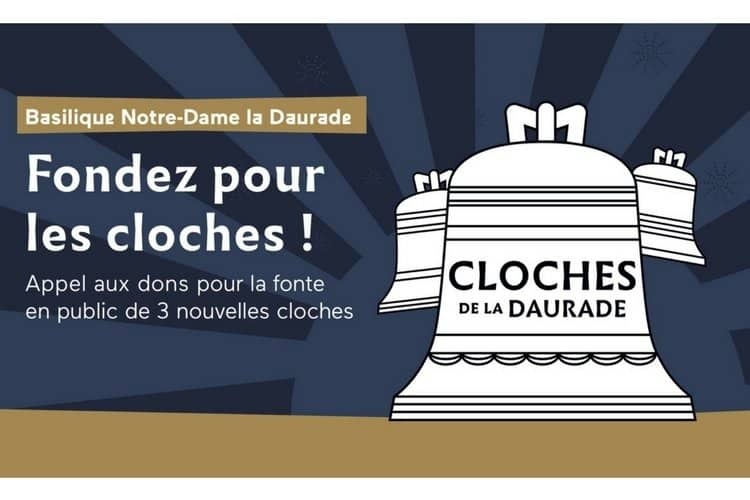 As part of the restoration of basilica Notre-Dame de la Daurade, the Toulouse town hall appealed for donations so that three new bells of the carillon can be cast in public. Thanks to the generosity of donors, the crowdfunding campaign has reached its goal. Therefore, on September 15, 2018, during the Heritage Days, the Paccard foundry will cast three new bells. This rare and exceptional event will take place in public on the Quai de la Daurade. Metal will be cast at night on Saturday, September 15. On Sunday 16th, the bells named Benoît, Péire Garona and Maria Dauratae will be taken out of their molds. Once restored, the carillon of La Daurade will be able to play the air of La Toulousaine, a Toulouse hymn that inspired Claude Nougaro for his famous song Ô Toulouse. The city of Toulouse has a uniquely rich political, economical and cultural history. With prehistoric roots, it was successively Gaul, Roman, Visigoth, Frank then capital of the county of Toulouse that included the whole South of France. It eventually joins the kingdom of France in 1271. Six hundred years before the French Revolution, Toulouse already had an elected municipal power called the capitoulat, whose current Capitole building was the last seat. The University of Toulouse, founded in 1229, is among the oldest in Europe. With 112,000 students in 2018, Toulouse remains one of the first French University cities. The first joint stock company, the Bazacle mills, was also created in Toulouse in 1250. In the Middle Ages, Toulouse becomes one of the most prosperous French cities thanks to trading. This doesn’t last, as Toulouse is successively struck by three plague epidemics, brigandage and the great fire of 1463. In the Renaissance, Toulouse experienced a new period of great prosperity thanks to the pastel industry, which built many of the beautiful mansions that still adorn the city center. In the nineteenth century, the city misses the beginnings of the industrial revolution. However, many small businesses make a dense economic fabric. Big industries arrive in the twentieth century, mainly with state-owned weapon manufacturing. Then, of course, aeronautics, Aeropostale and space industry, which are today part of the identity of Toulouse. However, with one of the densest startup ecosystems in the country, the economy of Toulouse is much richer than that. Industries like cosmetics and IT are also big drivers.